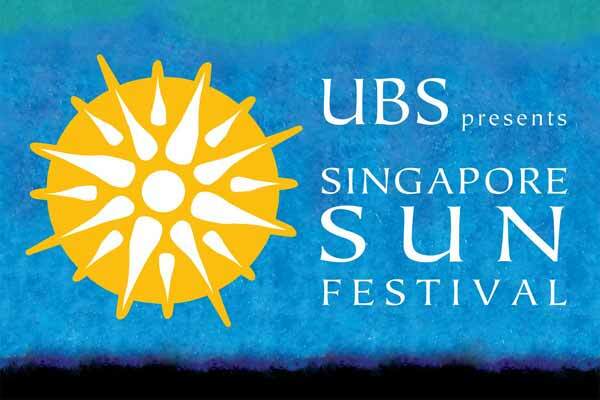 This year's Singapore Sun Festival is full of wonderful entertainment. This leading arts and lifestyle festival is billed as a festival that celebrates the "Art of Living Well" through the seven elements of Music, Visual Arts, Literature, Film, Food, Wine and Wellness. There is truly something for everyone and a few of the events are free, so there's no excuse for not enjoying some of what is on offer. Free events include concerts at the Esplanade Outdoor Theatre on Friday 5th November and Saturday 6th November. On Friday you can enjoy Mexican music by Tambuco, a group of musicians with a repertoire ranging from structuralist percussion to a wide range of drum music and avante garde sound interpretation. On Saturday the music is by Indialucia, a group of musicians who combine Indian and Flamenco music to produce a mesmerising fusion of two diverse cultures. Both concerts start at 7.30pm, but you are advised to get there early to reserve a seat. There is also a free Yoga event-Moon Salutation @ ACM, on Tuesday 2 November, 6.30pm-8pm. The moon salutation includes fourteen poses, all of great benefit, and all levels of yoga students are welcome. Bring your own yoga mat and enjoy some free outdoor yoga. We are going to enjoy the Free Film Screenings at the Botanical Gardens. For two weekends, classic films by Hitchcock (North By Northwest on 30th October and Dial M For Murder on 31st October) Vincent Minelli (An American in Paris on November 5th) and the greatest musical film ever made- Singing in the Rain (6th November), will be shown at the Shaw Foundation Theatre at 7pm. So bring your picnic and a rug and enjoy some of the most entertaining films ever made under the starry night. For a full programme of the Singapore Sun Festival 2010, go to the Singapore Sun Festival website.